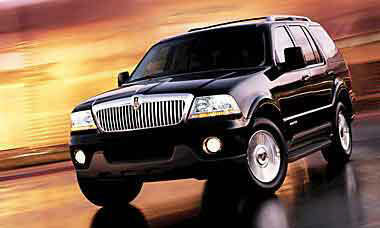 2004 Lincoln Aviator - Only 67,000, miles on this Black Beauty. This SUV has every single option available in 2004 including Power Moon Roof, Power Windows, Power Mirrors, A/C, Heated and Cooled seats, Luxurious Dove Gray Leather Interior, Power Seats, Premium Sound System with 5 CD Changer, Built In Drop Down DVD System, GPS Navigation System, Premium Chrome Wheels, Remote Start, 3rd Row Rear Seat, and lots more. Only 67,000 original miles. This vehicle has everything including the HP and Torque to make it really Get up & Go. I am the original owner and this vehicle is flawless. Not even a parking lot ding. You won't find a better one anywhere. I'm retiring and crunching down to 1 vehicle. Original sticker price was $53,000 +. Breaks my heart to sell it but it's yours for $9,500. Serious Buyers Call Tom @ 781-690-3600.